Foundry Courtyard offers a variety of en-suite rooms and studios with amazing facilities, you’ll be wanting to get that room booked ASAP! 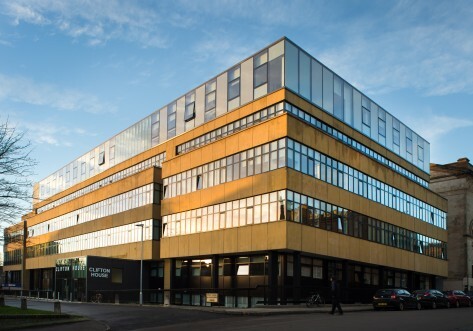 PLUS, we’re in a great location with Strathclyde and Caledonian Unis both within 7 mins walk! With TVs in all shared living spaces, PLUS if you’re sharing in one of our 6-bed apartments, you will benefit from a large AMERICAN FRIDGE FREEZER. 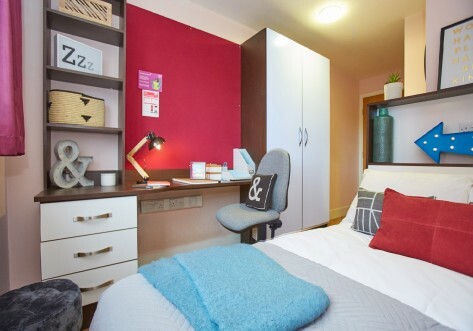 We have a great selection of studios on offer, including our premium range, which includes your own TV and FULL SIZE OVENS! When you feel like catching up with friends (or making new ones) there are amazing SOCIAL SPACES to enjoy too, including GAMES ROOM, TV AREA and a CINEMA ROOM (great for movie nights). With our jam-packed calendar of social events throughout the year, you’ll never want to leave! There are also the amazing OUTDOOR SPACES, including the COURTYARD! We're in a great location for all the universities! It is easy to get around too with Glasgow Queen Street Station and High Street Railway Station only a short walk away. Great affordability in a 5/6 bed ground floor apartment, these rooms are spacious and modern with a double bed, study area alongside your own en-suite shower room, ample storage and fantastic cooking facilities within the shared kitchen/living room. Same fab features as our Bronze but sharing with only 3 others in a ground floor room. 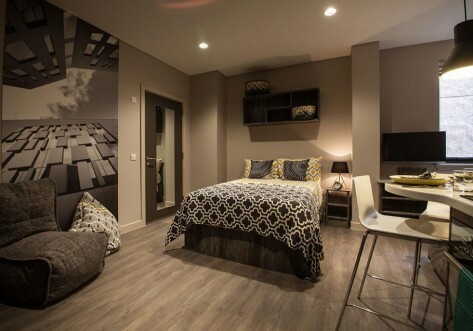 Take in the double bed alongside your own en-suite shower room, ample storage and use of the shared kitchen/living room. Same great features as our Bronze en-suites, but our Bronze Plus rooms are located on the upper levels of the building. The ‘business class’ of shared living with extra ‘leg room’ in the shared kitchen and living area. There’s room to make the most of the double bed and en-suite shower room, plus storage aplenty within a 3 bed apartment. If you only want to share with 2 others, then go Gold. 44 week tenancies in this room type are of limited availability. All the features of our Bronze Studio, with 20 sq meters all to yourself in a ground floor room. Great flexible space for either entertaining friends or getting down to study! Remember if you want to share your studio you can do so with no extra cost. 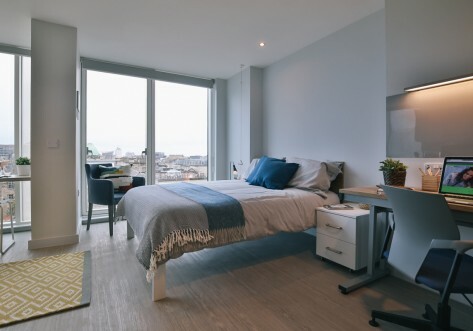 Great affordability in a 5/6 bed top floor apartment, these rooms are spacious and modern with a double bed, study area alongside your own en-suite shower room, ample storage and fantastic cooking facilities within the shared kitchen/living room. The same fab room features you would expect from us, in a quieter building location. Share with a friend or make one on moving-in day.